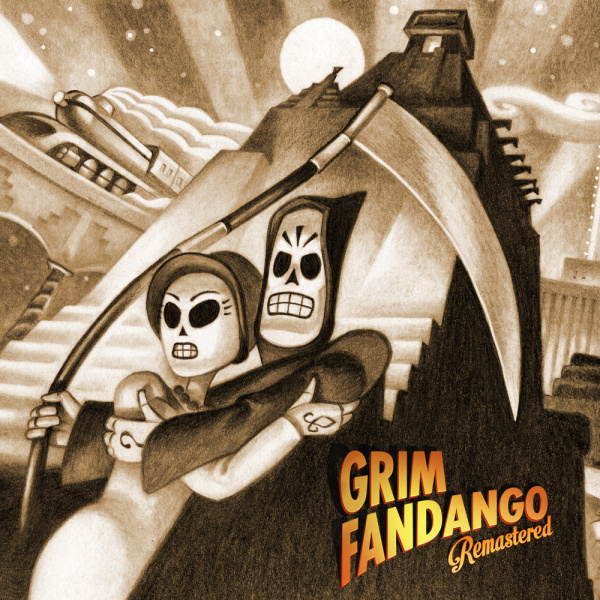 Somehow, somehow, Grim Fandango is 20 years-old this year. Twenty years! For some of you reading this review, the following game might look just like any other title from the transformative PC gaming days of the ’90s. A relic of an era where polygons were blocky, textures lacked detail and aspect ratios were square at best. But for many of us, Grim wasn’t just a game. It was - and remains - a touchstone. A proper highlight for LucasArts, for a studio that was already pumping out some of the decade’s best software. 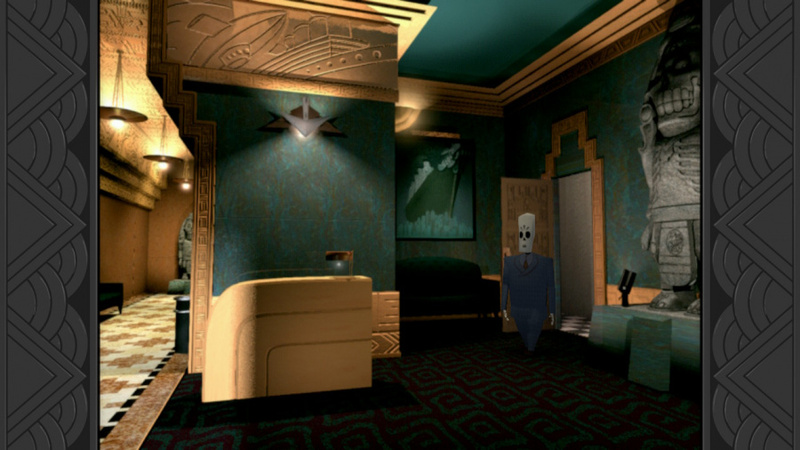 Wherever you might sit on the spectrum, you’re in for a treat now that Grim Fandango Remastered has arrived on Nintendo Switch. It doesn’t matter that this prim and proper version has been out elsewhere for nigh on four years - including plenty of handheld platforms at that - because it’s just as brilliant as ever. It’s remained one of the best-loved adventure games ever made for a reason - the fact it was the first LucasArts adventure game to use 3D graphics on static backgrounds; the way Peter McConnell’s eclectic score weaved Latin flavour with noir gloom; the sheer brilliance of its voice performances. There’s just so much appreciate here. Even its story and dialogue is still as pithy and self-referential as ever. Following Manny Calavera, a travel agent working in the Land of the Dead who discovers a menacing conspiracy involving the souls passing through its gates, Grim pays homage to so many different inspirations through its four-act story. There’s the Dia de Muertos (the Day of the Dead celebration in South America) aesthetic that informs its character designs; the cool yet bleak approach to storytelling that doffs its cap at the classic noir mysteries of film and literature. It’s one of LucasArts most unique and memorable games of the ‘90s to not feature an X-Wing or a lightsaber and has dated far better than many of its contemporaries that were also dipping their toes into 'proper' 3D. Double Fine did a fine job deftly updating its own legacy with Grim (studio head Tim Schafer oversaw the original at LucasArts before it was shuttered and remains one of the most important creative minds in the industry) and the Nintendo Switch port benefits from each little adjustment as a result. Lighting models now run in real-time, while almost every asset has had its textures upped to a much higher resolution. The controls have been enhanced to help them better suit a console, but you can play with that ‘classic’ tank setup, should you wish. That ability to dial back the clock even extends to the aspect ratio, which can be played in a traditional (for the time) 4:3 or stretched to a more palatable 16:9. As you might expect for an adventure game on Switch, you can play with the buttons and analog stick on your Joy-Con or direct Manny through the Land of the Dead by tapping the touchscreen. Even without a mouse, keyboard and CRT monitor in sight, this is as faithful a recreation of the original experience you can get without facing many of the problems inherent to playing two-decade-old PC games. Double Fine has helped usher in something of a renaissance for the adventure game with the likes of Broken Age, but it wouldn’t be here without the legacy Grim set in place 20 years ago. Sure, the game itself was a commercial flop at the time, but much like the best things in life, Manny’s underworld odyssey became a cult classic that’s only gotten better with age. Now that it’s been optimised for Nintendo Switch, there’s never been a better time to give this gaming highlight another go. The fact you’ve been able to play Grim Fandango Remastered on your TV and in handheld form elsewhere for years doesn’t matter one bit, because this gem of a game is still as enchanting and evocative as it was the first time you popped open that oversized cardboard box back in PC in 1998. 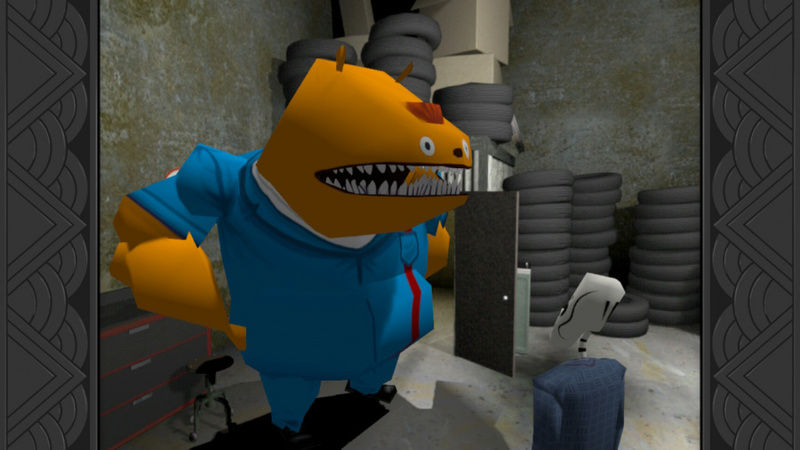 Here and now on Nintendo Switch, this port looks and runs noticeably smoother than its fellow portable versions thanks to Double Fine’s deft adjustments, so if whether you’ve already joined Manny on his afterlife odyssey or this is your first time among the dead, Switch is 100 percent better for its inclusion. 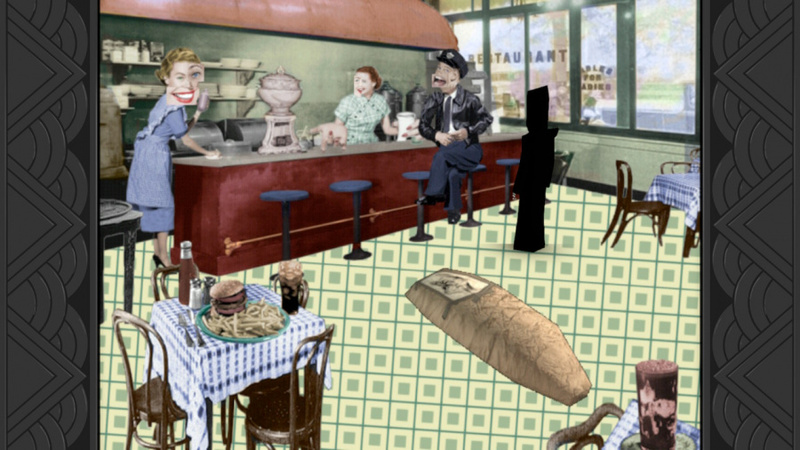 I'm not necessarily a huge fan of point-and-click games, but this one is excellent. The puzzles are almost always logical, and the humor is SO GOOD. Y'all gotta play this, hear? Already boiling my point and click tea batch. I'm excited to play through this on my Switch. I've never completed it on other consoles. Once again, it's so great to have another all time classic in fine form on the superfine Switch! Also, you might want to edit the review to say that Dia de los Muertos is a Mexican holiday. I don't think it's really South American. A great game. The story was really sophisticated for the time. The various locations also each have a different feel and it really captures the mood of a 40s noir (a goofy one).I remember the PC version came on two disc but the second must of been scratched because I couldn’t complete the game. How obtuse are the puzzles? I like point and click ONLY if the puzzles play by the rules and don't ask you for absurd, illogical solutions that you spend hours on before rage quitting. I remember an interview with game designer Aaron Conners (writer of the best Tex Murphy games, along with many subsequent projects for MS and EA) where he said that the flop of Grim Fandango was why he ultimately gave up on making adventure games. Here was a game that was absolutely brilliant and unique in its story, characters, setting, and puzzles, and it couldn't find a wide audience. It was disheartening. I'm absolutely delighted that the game has found a second life 15-20 years later. It's a good game, but I wouldn't call it one of the greatest. There are several games that are better IMO. I guess no gyro controls again? I really don't understand why all these point-and-click games don't at least add this as an option. I realise you have to re-center more than preferable (which you also have to do in a game like Splatoon), but it works great for World of Goo and should work fine for point-and-click games. Sorry for the rant, I just really dislike it, since I would buy most point-and-click games for Switch in a heart-beat, if only they had gyro controls. I guess it's at least good that you can play with the touchscreen. Another great reason I had to own a VITA ages ago. Also, This is $5 on mobile. @WayneLFC74 And they changed that in the remaster afaik. I own it on PC, but haven't gotten around to playing it yet (too many games), but one of the main selling points of the remaster was that they added normal point-and-click controls, next to the "old-school" tank controls (as they call it). @Monkeido Really?? I had no idea, I was just happy they added normal directional control and made the tank controls optional in the remaster, I own the original CD version and the remaster on PC, gonna have to give the point and click controls a go when I get home then..
Great game, I've enjoyed it on pc (original) and Vita, don't need a third version. Got it on ps4 back in 2015, never beat it got stuck. Should I get it again for switch? @Muddy_4_Ever It's tricky to say, because it all depends on you. My wife and I have always liked to co-op these games, and she logics out things that I'd have to brute force without her. I'd say there are probably a handful that require more experimentation that you'd want, but the game is really the swan song of the original generation of the genre. It's great. @Agramonte You really don't care what device you play a game on lol. "$10 on Xbox...pass." "$5 on my phone. No thanks." Very good game, and a very good port indeed. Looks and runs just as good as on my PS4. And nice with touch screen-support when playing handheld, but I do prefer playing it with joycons. @GrailUK It was free on PSPlus with Cross Buy and Cross Save. So I played it on the best "device" at the time for free. And can still today - at home and on the GO. "...or direct Manny through the Land of the Dead by tapping the touchscreen"
Playing point and click games with a controller is awful for tons of people. Why they the few games that make any sense on Mobile. +1 for the "I want this game for my future Switch" list. This sort of brings back the best of 90's PC gaming. Leading the article with a screen shot from one of the best scenes. The magazine cut-out faces are so bizzare. I couldn't got into this one like the Monkey Island and Day of the Tentacle remasters. @Muddy_4_Ever I have to say that some of the puzzles are pretty damn obscure. The graphics are 3D, but the gameplay is very much the old-school, convoluted puzzle design of 90's adventure games. But don't let that scare you away. Most of the puzzles you can figure out, and for the ones you can't, just use an FAQ after a while of being stuck. Good game. Just beat it on Switch after last time playing it on my PC several years ago as a kid. I really enjoyed the story and climax of the game. In 2 or 3 spots I've got a little bit irritated as my idea for puzzle solution was ok but clunky '90 mechanism in 3 D game did not worked perfect and I had to try few times.